"In the good old summertime, in the good old summertime. . . "
To be honest, although that song runs through my head a lot this time of year, summer is not really my favorite season. I sorta melt in the extreme heat. One thing I do love about summertime, though, is the abundance of fresh produce. We're not growing any of our own produce this summer, but a Saturday morning trip to the Farmers' Market yields a great bounty. One of our favorite summertime veggies? Okra. Because FRIED OKRA is hard to beat. You can get deep-fried okra at lots of restaurants around here, but it's not my favorite. 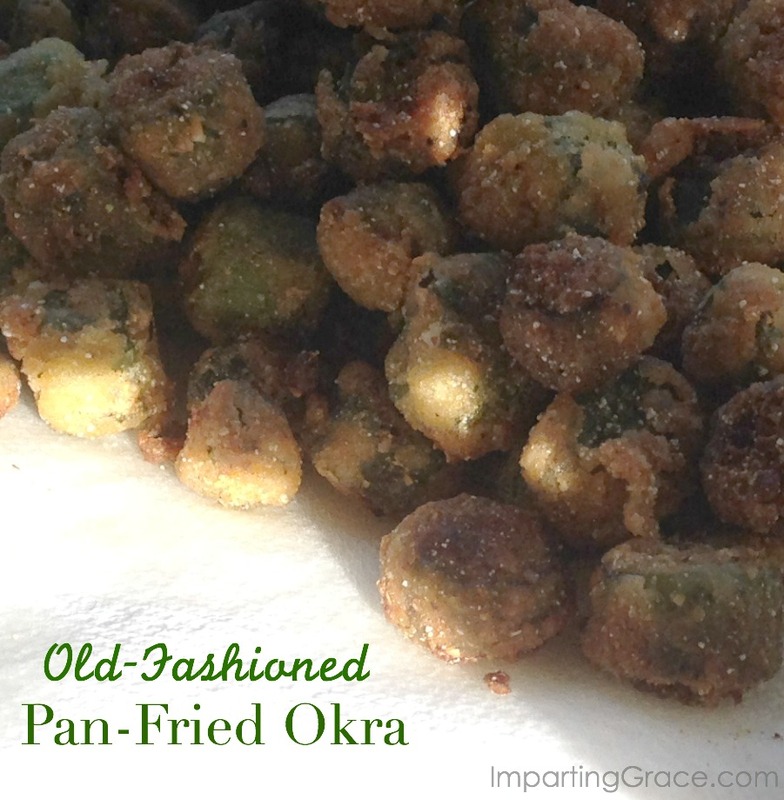 What I love is old-fashioned pan fried okra, the kind that people in my family have been eating for generations. And it's so easy to make it yourself! Wash okra in a colander; drain. You can use fresh okra or frozen okra that's been thawed. Combine corn meal mix, salt, and pepper in a gallon-size ziptop bag. Add okra to bag. Seal and toss to coat each piece thoroughly. Heat a little oil (approximately 1/4 cup or so) in a skillet over medium-high heat. For best results, use an iron skillet. When oil is good and hot, add about one fourth of the okra to the skillet. Fry, stirring occasionally, until golden brown. Remove with a slotted spoon; drain on paper towels. Sprinkle with additional salt if needed. Fry all the okra in small batches, adding a little more oil to skillet if needed. Be sure the oil is good and hot before adding each new batch of okra. 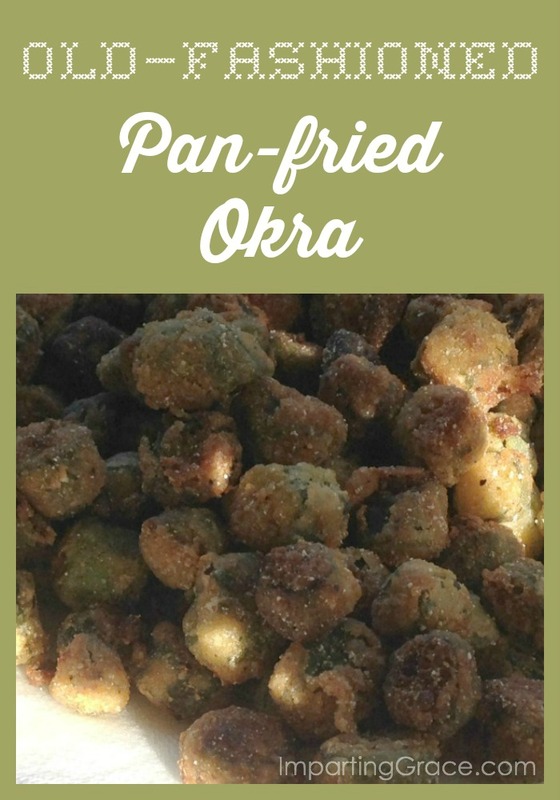 Have you ever made fried okra? How about fried green tomatoes? Or fried squash? What's your favorite garden vegetable? P.S. I love fried squash, too! Believe it or not, I'm a little afraid of frying things. But...these look so good I must try them. Pinning for sure!! 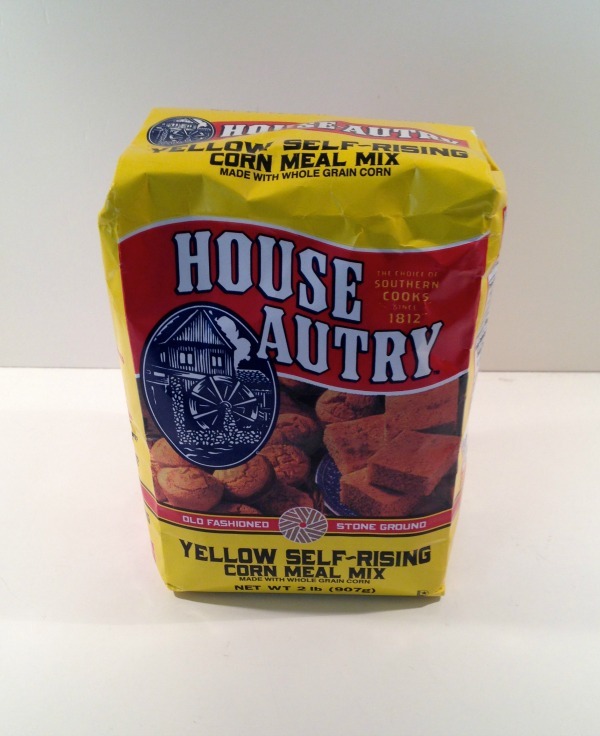 I've never seen that corn meal mix, so thanks for the alternative. Richella...I do love fried okra but it is usually deep-fried. I have this very ingredient in my pantry! I used it last week for a batch of fried green tomatoes and it was so good! I will definitely be trying this with okra. Funny thing, I thought I was buying regular cornmeal when I bought this for making cornmeal mush...ever made it? Anyway, DO NOT USE IT FOR MUSH!!! I kept wondering why it wasn't setting up properly...that is until I read the label. Mush consists of cornmeal, water and salt...no flour...DUH! Thanks for sharing your tip!! Ah, Richella - you are a girl after my own heart! I love, love, love okra. Thank you for sharing your recipe. We rarely eat fried foods except for okra!! My family could eat it every day if I would cook it! Nothing says summer like fried okra and fresh tomatoes! I LOVE fried okra! It's hard to find fresh okra in the northeast, but frozen I can get. I must try this recipe!